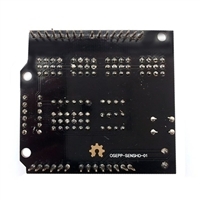 Easily connect Servo motors, Sensors, and Bluetooth/RF modules to your Arduino or Arduino Compatible board. 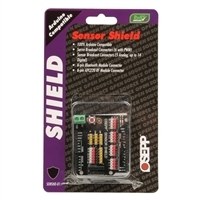 This Sensor Shield provides breakout connectors for standard Servo Motors and various 3-pin Sensors. 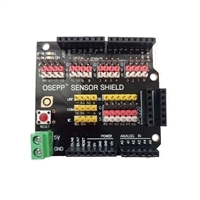 A 5v DC screw terminal enables you to drive power hungry servo motors with an additional 5v DC power supply.